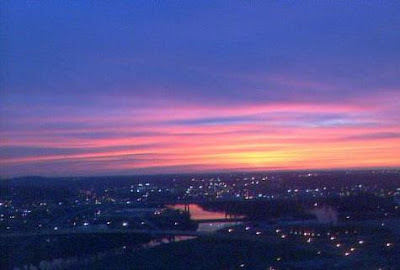 The picture was snapped at about 10 minutes before sunrise over the Music City. Meteorologist Justin Bruce was the photographer. I appreciate what Justin, Lisa, Davis and Jeff do over at News 2. They take the time with the amateur weather observer to explain what's going on with our nutty Tennessee weather.